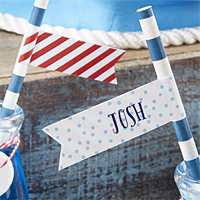 Whether you're on the sea or the mainland for your birthday celebration, these red and blue personalized birthday party straw flags will fit right in. 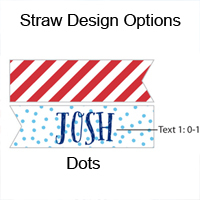 Available in two design options decked out with pretty polka dots and navy blue and red. 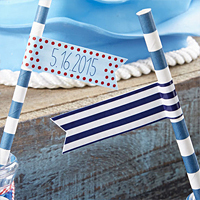 Great decorating options for lollipops, favor bags, candy apple sticks, cupcakes, and more. 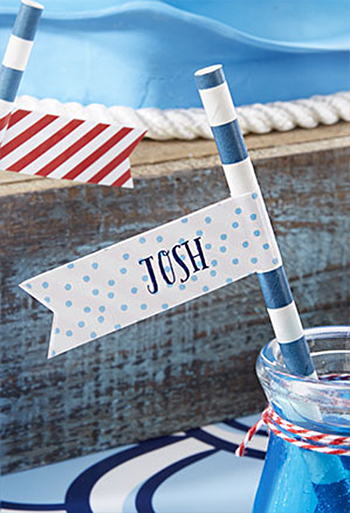 Place each personalized flag at half mast on a straw or stick to stay true to the ocean life.